"I give it a 'penguin' sniff." 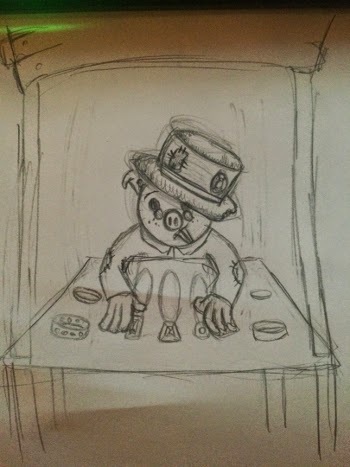 Last time in Cobblepot's Big Score, things did not go so well. The castle's steward was killed, and the guards suspected the party of the murder... Which happened to be true. 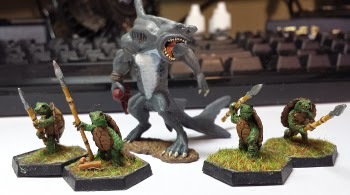 The Penguin Bard, Cobblepot (Jeff), the Shark Monk, Sharky (Andrew), and the Sorcerer Psychic Collective of Turtles, Legion (Dave), had been contracted by local mob boss Crocodile Daryl to steal a "Mysterious Item" from the prince who was in town for the village's festival. The group had weaselled their way into the castle as the catering company, and had even managed to give the unknowing Wiazrd Panda Xiaojing He, a job as a head chef in the Castle. But it was time to leave her behind and focus on the thieving. They still had one problem however; They had no idea what they where here to steal. The Mysterious Item was still that. mysterious. With the guards closing in on them, things were looking pretty hopeless. 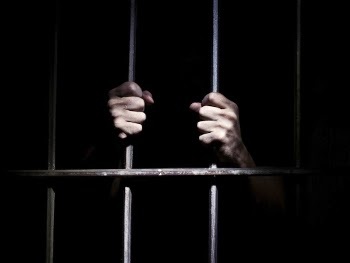 A life behind bars seemed assured. When the party had left off last game, it was about 9 o'clock at night. None of the group had had much rest and they were all feeling weary. So Cobblepot, Sharky and Legion decided to retire for the evening and made their way back to their chambers. 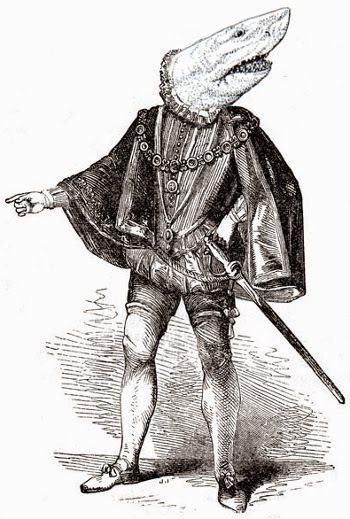 Along the way, Sharky commented that perhaps they should seek out a bard at the festival tomorrow. He remarked that bard's often new things that others didn't and they might be able to tell them what they were searching for. Legion was not convinced, but Cobblepot, being a bard himself, thought it was a great idea! With the plan set they group retired. Legion followed Sharky into his room and Cobblepot went and slept in his chambers across the hall. Despite his exhaustion, Cobblepot was not to rest that night. After a few hours slumber, the penguin was awoken by the sound of his door opening, and the light from a strange glowing orb that seemed to float into the darkness. As his eyes adjusted to the darkness, it turned out that the light was held in a hand of an aging and flamboyantly dressed baboon. Before the intruder could speak. Cobblepot pointed out that it was rude to enter other peoples chambers without asking first. The baboon laughed a hearty laugh, and claimed to have some information that Cobblepot needed. Intrigued the penguin heard him out. Exactly what he looked like... Exactly. 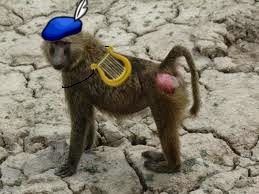 The baboon introduced himself as Simon the wise, an ancient bard if there ever was one. He claimed to know everything, and in fact he even knew why Cobblepot and his band was here. Ever more curious of the old man, Cobblepot got out of his bed, and shared a drink with Simon by the fire. It is here that our quote of the evening was uttered. As Simon poured him a drink of a very potent liquor, Jeff described his character's actions saying that he gave the glass a "penguin" sniff. Simon told Cobblepot that the item he was seeking was one of the Foci: A powerful object, and Crocodile Daryl had no idea what he was getting into. He also offered to help Cobblepot get it in any way he could. A little suspicious, Cobblepot accepted the help, and asked what the strange baboon what he wanted in return. He said he was only interested in the story, and that would be payment enough. Convinced, Cobblepot arranged to meet him tomorrow at the festival around 10 o'clock, and with that the Baboon departed and the penguin returned to his rest. Scene 2 Guards at the Door. The following morning, both of Sharky and Cobblepot's rooms were disturbed by a loud banging on the door. Sharky jumped at the sound, and quietly moved to the side of the door where he braced himself for it to burst open at any minute. Quietly, Sharky told Legion to see what was happening outside. Smiling, Legion cast Gas Form, and drifted through the top of the door. Outside he saw no less than eight guards, four on their door, and four on Cobblepot's. Before he could return and tell Sharky what he saw, a fireball grazed passed him, singeing him slightly before he could retreat. Legion told Sharky about the guards in a whisper, and not knowing what else to do, he and Sharky waited and listened. Meanwhile on the other side of the hall, Cobblepot was hatching a plan of his own. 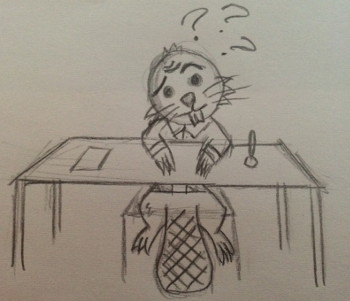 Using a Disguise Self spell he transformed himself into a small Squirrel and answered the door. The guards demanded to know who the squirrel was, and stated that they were here to arrested Cobblepot and his accomplices, a Great White Shark and Four Turtles. Cobblepot bluffed that he hadn't seen them, and tried to get them to go down the hall. However, Legion had other plans. He was bored of waiting and was angry that the guards had attacked him. 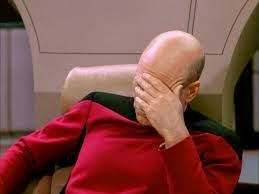 So when one of them tried the metal latch of the door he was behind, the Turtles sent a shocking grasp through it. The guard yelled out in pain, and moved to kick in the door. Thankfully Cobblepot acted before things got really nasty. Loudly he cast a empowered Sleep spell which caused two of the guards to fall asleep. Legion then followed suit knocking out another two from behind the door. With the surprise round wearing off, Cobblepot and Legion won the initiative and managed to put another two of them to sleep. With most of the guards down, Sharky Burst through the door, grabbed one of the standing guards and hurled him at the other, knocking them both to the ground. It was a bit of a cluster. 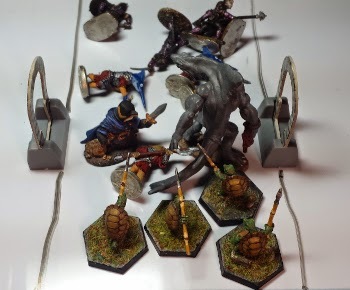 Using his Monk Monastic Tradition: Way of the Shadow, Sharky then cast Pass Without a Trace, and they all ran as fast as they could out of the Keep. Scene 3 New Clothes. Checking on Business. The band left the castle without any resistance, but they were in rags. Their finery had been damaged over the passed few days, and it was time to change their blood soaked clothes. They discarded them in a back alley and head over to the nearest clothing shop they could fine. The first shop they went into had decent enough clothes, though no where near the calibre they were used to. Lest we forget this stylish ensemble. After purchasing new clothes, everyone found their stomachs rumbling. They thought for a moment about where to go to eat, and then Sharky and Legion remembered that they had bought food stands, Legion's Lettuce and Sharky McCoy's Seafood! Both business were still being expertly managed by the Brantford family of rabbits, with each stand turning a tidy profit. After a breakfast of Lettuce, and Fish, the group head over to the fair to meet Simon the Wise. Scene 4 Meeting Simon the Wise. The Mysterious Item. A Plan. Simon was waiting for them just inside the fair grounds, and walked with them among the games and buskers. He told them that they were in search of one of the three Foci, and that what they sought was in a necklace. Cobblepot was surprised to learn that the item was indeed jewelry, as the jewellers he had asked in town the day before had heard nothing of it. Perhaps his questions were too subtle, perhaps the merchants were not cultured enough to know. Simon went on to say that the Prince had gifted the necklace to his mistress the Lady Clarissa, and she wore it almost every day. Cobblepot searched through the notes provided by Crocodile Daryl, and found a small section on her. It said that she was a bit of a bleeding heart for the needy and Cobblepot and Sharky started hatching a plan. They told Legion to go and get lost. 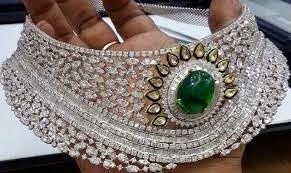 They would then go ask for the aid of the Lady Clarissa and steal her necklace from her with a bit of slight of hand. Scene 5 A Fight with a Bear. The Kindness of the Lady Clarissa. Of course Simon thought this sounded like a brilliant story, and told them that the Lady Clarissa was currently watching the two-handed tournament, and pointed over to an arena. Cobblepot thanked the Baboon and he and Sharky head into the arena. Before entering, Cobblepot made a point of speaking with the arena officials, and asked them to make an announcement that they had lost their children, and would appreciate any help. Needless to say giving Legion's description was a bit odd. After that, the two entered the stadium to watch the games. On the other side of the fair, Legion was finished getting lost, and decided to set up a song and dance act. The act attracted a crowd, and Legion was making as were making a fair bit of coin as more gathered. As far as they were concerned getting lost was the best! Cobblepot and Sharky were also enjoying the festival. The Two-Handed tournament had proven to be quite an entertaining diversion. 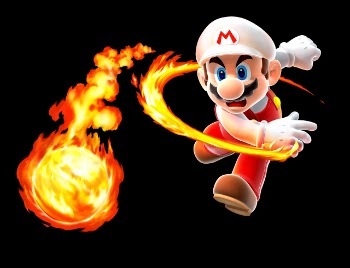 The large competitors were skilled fighters and each put on quite a spectacle. In the end the larger champion defeated his only slightly smaller opponent and the crowd exploded into cheers. At this point Sharky was incredibly excited. He wanted to fight the champion. He wanted the glory. He wanted the honour of victory! In a rage he jumped and shouted at the top of his lungs challenging the Champion to combat. 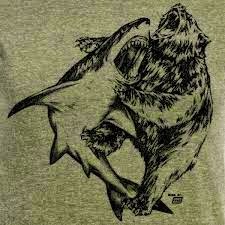 Surprisingly, the Champion accepted the challenge, and tore off his armour, revealing himself to be a grizzly bear. Sharky ran towards the edge of the arena and leapt into battle. Yes, it was this awesome. The battle was fierce as the two beasts pounded on each other with nothing but their fists. 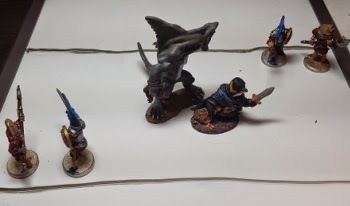 The Bear almost came close to besting Sharky, but the shark monk's fists were able to defeat the bear, beating him to a pulp. The Bear dropped dead to the ground, and the crowd was silent. Sharky roared in victory, and then Cobblepot gave him some instructions with a message spell. He told Sharky to dedicate the fight to the lost turtles and ask for anyone's help. Sharky did so, and everyone could see that the Lady Clarissa was visibly moved. Within minutes, Cobblepot was brought before the Lady while Sharky wandered off to the Champions resting area. Cobblepot met with the Lady Clarissa, who promised to send her ladies in waiting out to scour the town for the lost boys. Cobblepot thanked her, noticing the Focus necklace hanging around her neck, and told her that she could reach him at the Legions Lettuce stands in the market. With that he returned to the shops and waited. Scene 6 Legion and the Ladies in Waiting. Legion had wandered far off into the city, and it took the Lady Clarissa's servants more than two hours to find him. When they did, he were less than cooperative. Legion was very suspicious of these ladies of course, because he had no idea who they were. He had never heard the part of the plan where the ladies in waiting would come to find him, and was reluctant to go with them. 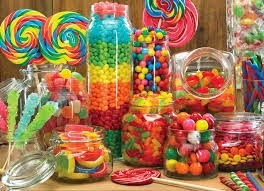 Only with the promise of candy was he convinced to follow them. The ladies took him to the castle, and Legion completely freaked out. He was terrified that the guards would arrest him and turned invisible and ran as fast as he could to where he had last seen Cobblepot and Sharky: entering the arena. After some searching, Legion found Sharky resting, and told him what had happened. Sharky sighed, and explained to Legion that it was all part of the plan. However, Legion was still scared and would only return to the castle if Sharky went with him. So the two of them went off. The ladies in waiting were still searching out front of the castle, and were overjoyed to see Legion return. They paid Sharky no mind, scooping up Legion and bringing him inside to wait for Cobblepot in luxury. Sharky figured the best place to go would be back to his Seafood stand, and see if Cobblepot was around. He found the penguin leaning against Legion's Lettuce and two exchanged their tales. Scene 7 Smash and Grab. Twenty minutes passed before one of the Ladies in Waiting came to fetch Cobblepot and Sharky. She politely asked them to follow her, explaining that they had found Legion. Cobblepot and Sharky acted relieved and graciously accepted the invitation. She took them up to the castle and through the front gates. The guards eyed Sharky and Cobblepot with suspicion and mistrust as the lady lead them towards the throne room. Though the guards had tried to arrest them this morning, none of them were willing to challenge those being presented to the Prince and his Lady. Tension you could cut with a knife. The Throne room was a beautiful long corridor, lined with gaurds and ending in the Prince and his Lady’s thrones, in front of a gorgeous stained glass window that over looked the coast. Sitting in her throne beside the Prince, The Lady Clarissa addressed Cobblepot, telling him that Legion had been found. With a wave of her hand, a door opened, and Legion rushed out, rejoining Cobblepot and Sharky. Cobblepot thanked the Lady, but was frustrated. Things hadn't gone to plan: the Lady was sitting too far away to take the necklace from her. He hesitated for a moment until Sharky whispered a plan into his ear. Smiling Cobblepot then whispered instructions to Legion, and they set it all in motion. Everyone grabbed hold of Sharky and then Legion made them all invisible. As fast as he could (45ft mvt.) 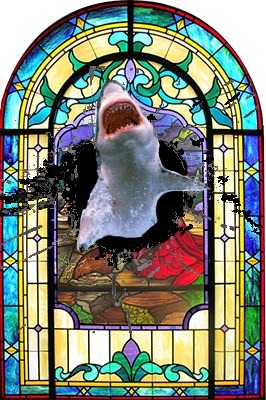 Sharky ran towards the thrones, and tackled the Lady Clarissa through the stained glass window, taking Cobblepot and Legion with them. It was a shear drop toward the coast, but Legion then cast Feather Fall on the group and they began fluttering safely down. The Lady was screaming and putting up quite a fuss, but Sharky was able to silence her with a stun punch. Then things started to get hairy. The Castle guards, reacting to the smash and grab, started shooting arrows at them as them drifted down. 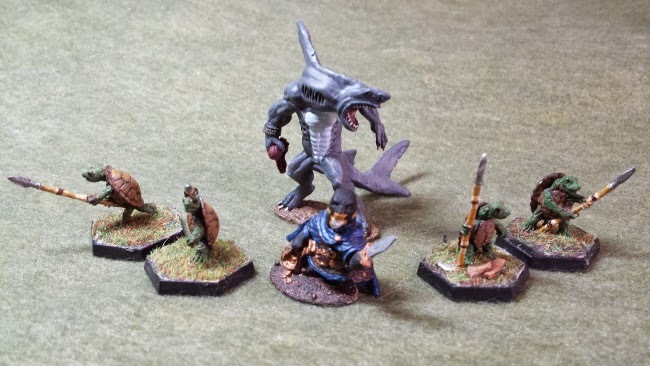 Thinking fast, Sharky rolled so that the Lady Clarissa was in between him and the Archers. One last arrow hit the Lady and was followed by the angered shouts of the guards berating the shooter. Needless to say, the arrows stopped. The group landed softly on the ground, and Sharky gently put their captive down. Cobblepot snatched the necklace from her neck, and the group fled into the city, using the short cuts that Legion knew to get to Crocodile Daryl's Tavern. Giddy with success, they were taken totally be surprise, when they rounded a corner to see a figure in a dark robe, and felt their consciousness slip away from them. We did! We stole the Focus Orb! But that sweet taste of victory was snatched from us by the a mysterious robed figure! This is the second time we have encountered these guys. and second time they have been a pain in our back sides! Something strange is going on here, and I fear for our character's live in the next Cobblepot's Big Score!